BCID gets the attention of top officials. And you can join us as we fight for better Access-A-Ride and on other crucial issues. In 2019, we’ll be at the MTA, at City Hall and in Albany to make the case. Join us! To find out how you can get involved, contact us via email (info@bcid.org) or at 718-998-3000 and ask for Valerie. 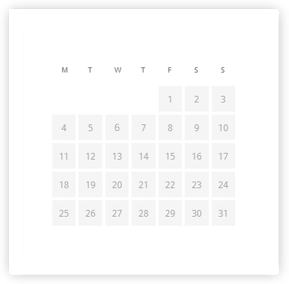 We’ll fill you in on ways you can become active over the coming weeks. 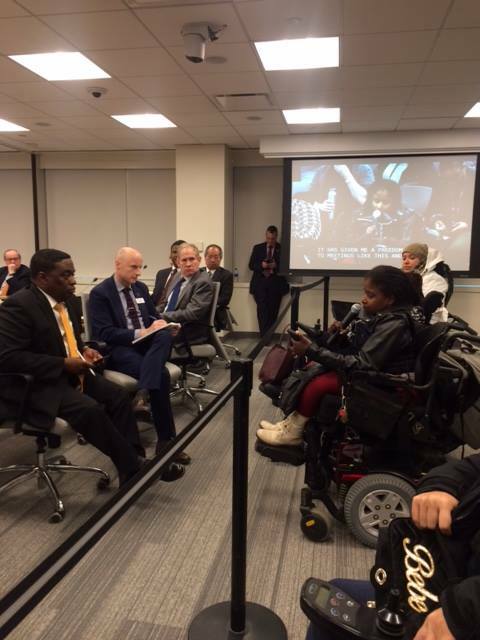 Photo shows Valerie Joseph, BCID’s Access-A-Ride advocate (right, with mic), getting the attention of NYC Transit President Andy Byford (center of group at left) as she testifies at the December 2018 MTA board meeting. Valerie called on the MTA to expand its innovative on-demand Access-A-Ride program.